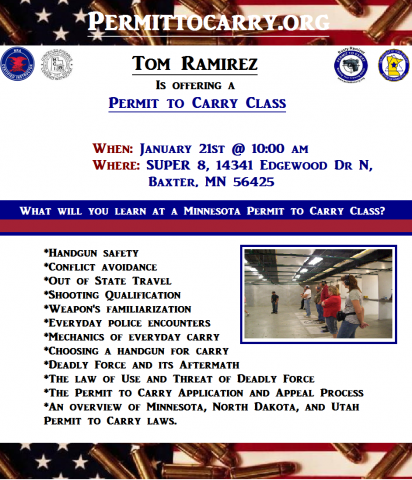 Tom Ramirez, the lead instructor of Permittocarry (www.permit-to-carry.com), will be instructing a permit to carry class on Jan. 21 at 10am at Super 8 Hotel Conference Room. Both the class and the range portions will be offered. Cost of the class is $100 plus range fee. 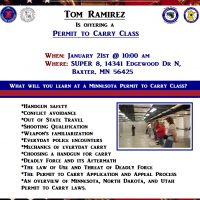 If you have any questions or would like to register please call Tom at 218-252-3326. We look forward to seeing you there!